*Project led by Barry Charnish, Agha Hasan, Brock Schroeder, David Stevenson and Ferdo Simov while employed at a previous firm. 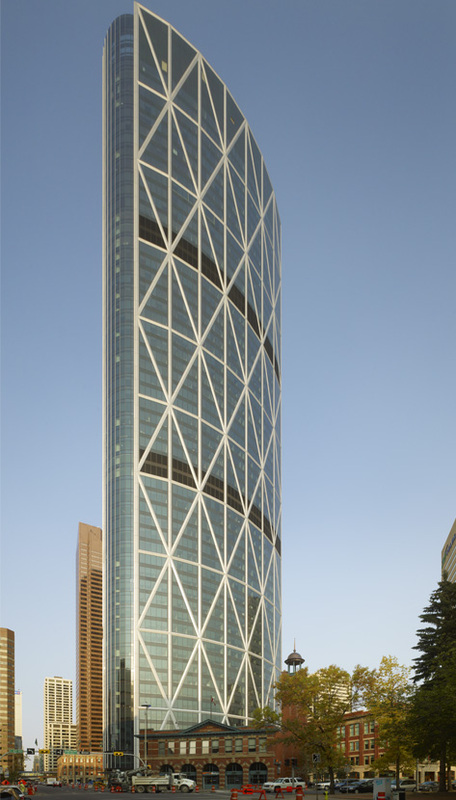 Completed in 2012, the Bow became the tallest office tower in Canada outside Toronto. 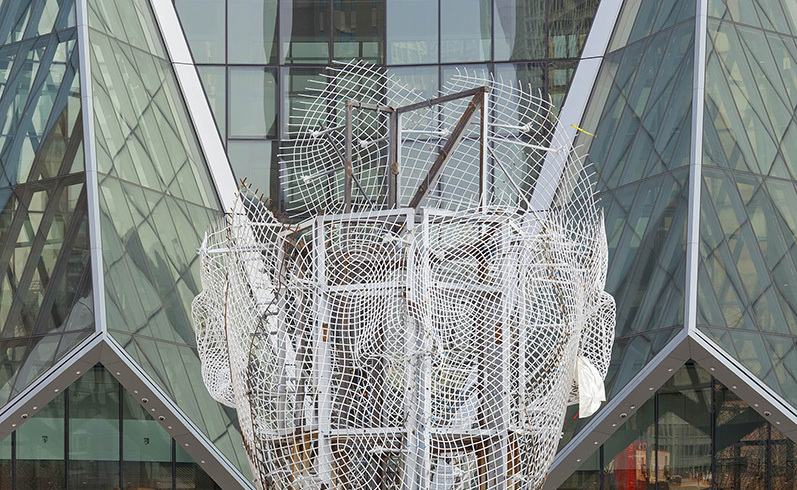 It also represented the start of re-development in Calgary’s Downtown East Village. 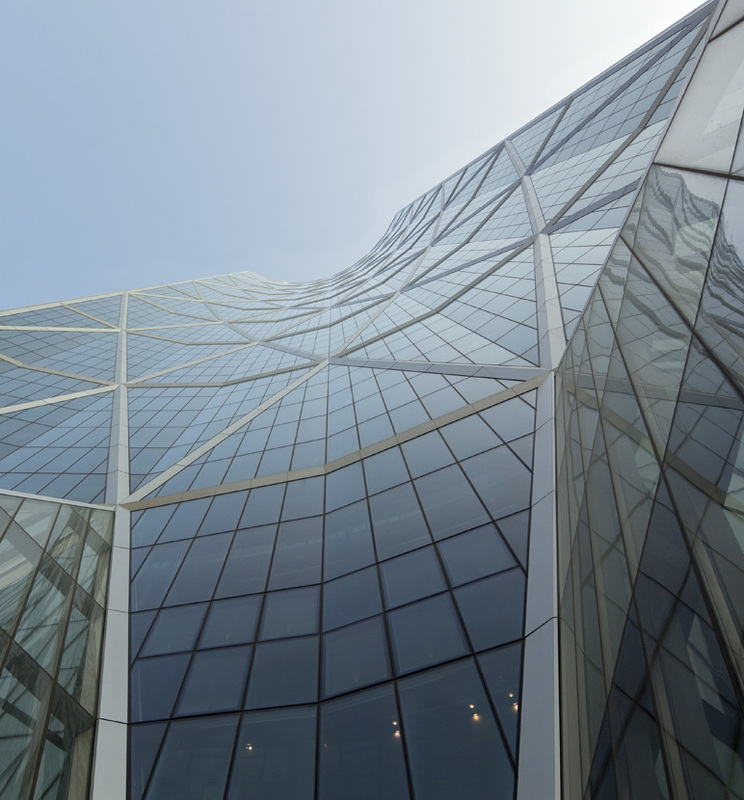 The 58-storey crescent-shaped office tower is the headquarters of EnCana Corporation and Cenovus Energy. 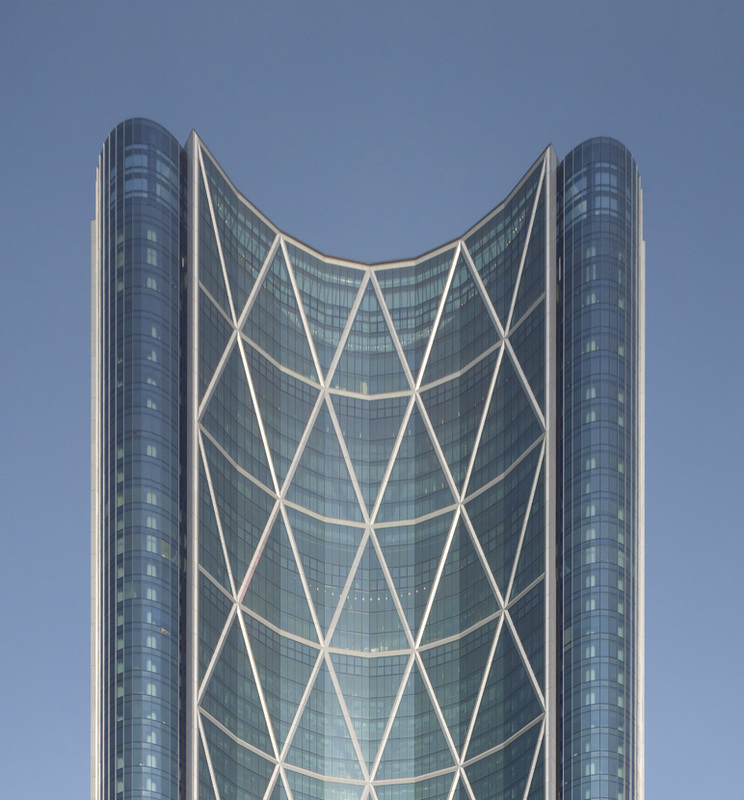 The tower’s unique shape and building orientation on the site was dictated by the desire to maximize natural daylight in its office areas, the three large internal sky lobbies and the six-storey atrium areas. 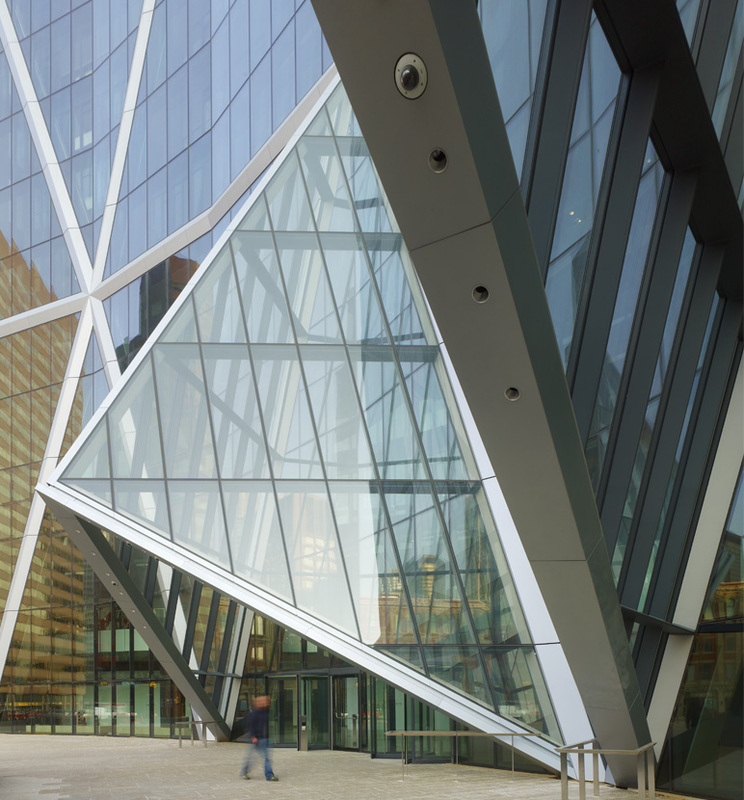 The development also includes retail space at street level and at the +15 level where stunning bridges interconnect The Bow with adjacent developments. Six levels of underground space contain parking, a loading dock and other supporting infrastructure. Challenge: Foster + Partners wanted to create a truly unique tower design, one that would present significant structural challenges. 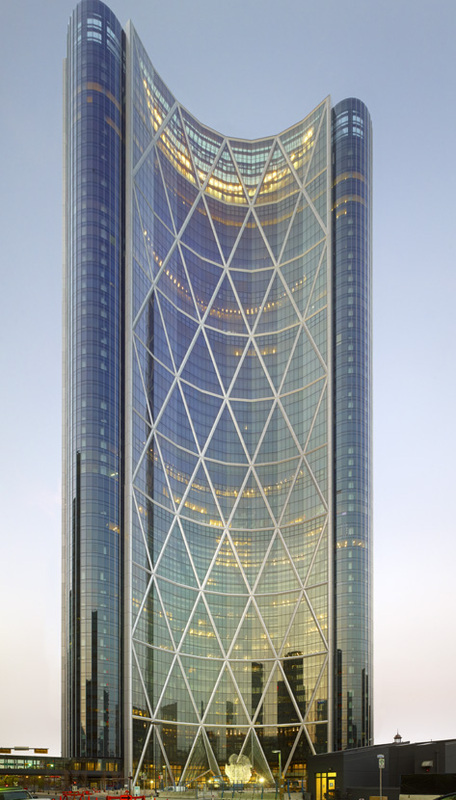 Solution: The tower’s lateral load-resisting system consists of a series of unique truss tube frames, or diagrids, which are exposed in the perimeter cladding system and coupled with conventional steel braced frames and moment frames. 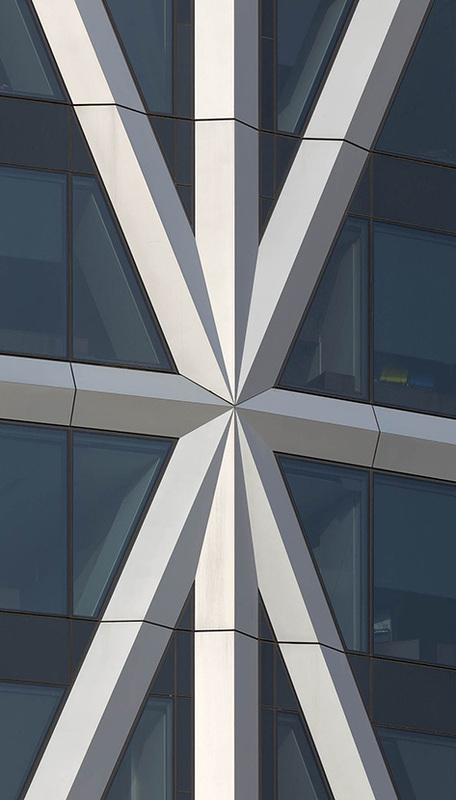 Diagrid elements on the south elevation consist of large built-up three-plate triangular sections that result in a dramatic architectural effect on the interior of the building.